If you currently have a retirement account or investment portfolio that is biased towards stocks, bonds or any other asset bound to the dollar, you may have considered converting part of it to bullion coins or bars as a protection against inflation, currency debasement and economic uncertainty. While simply transferring funds from an IRA to a Gold IRA is an option, a rollover is a much safer and tax-advantaged strategy of moving your retirement savings. In this brief article, we will discuss the individual steps involved in a Gold IRA Rollover. While some people tend to call any movement of funds from one retirement account to another a rollover, the IRS makes a clear distinction between a rollover and a transfer. In a rollover, the money being moved is paid to you and you then deposit the funds in the other account. In a funds transfer, the original custodian of the IRA transfers the funds directly to the new IRA custodian you designated to receive the funds. You basically never see the money. In this case, if you were to do a Gold IRA rollover, you would have 60 days from the date you receive the funds to deposit the money in the Gold IRA Company or Custodian you have chosen. If you do not complete the transaction within this period, the money becomes a taxable withdrawal and you will face the 10% early withdrawal penalty if you are under 59 1/2. If you are withdrawing from a personal IRA for a rollover to another IRA, there is no tax withholding. But you can do only one rollover per year. In a direct custodian-to-custodian IRA transfer, you do not have to worry about the 60 day transfer rule since you never receive the money. The transfer may is usually accomplished by wire transfer directly between the respective IRA custodians. The original IRA custodian can also accomplish the transfer by issuing a check made out to the custodian of the receiving IRA and mailing it out. 401ks can have slightly different rules for rollovers and transfers. If you have a retirement plan through your current employer, you might want to check with them first. Some employers do not allow gold investment as part of their 401k plan unless you quit your job. Before diving into a Gold IRA Rollover, make sure you understand your employer's 401k plan. While there are ways around employer restrictions, it is helpful to know whether this will be an obstacle from the beginning of the process. First, you want to be certain your retirement savings are being handled by a certified and trustworthy company, not a scammer. Second, the Internal Revenue Service (IRS) only allows for one tax-free rollover of IRA funds each year and this rollover of the full amount of funds must occur within 60 days of removing the funds from your current IRA custodian's care to avoid penalty. If you choose a custodian that you want to change later, you will have to wait the full 12 months or face tax penalties on the money you are moving. The reputable Gold IRA custodian you chose will be able to furnish you with all of the necessary paperwork and contact information needed to arrange your IRA rollover. Having this paperwork handled prior to the rollover date ensures that the money will be successfully transferred to the Gold IRA account within the IRS's required 60 day period. In some cases, your existing IRA custodian may choose to issue you a check for the full amount of your IRA and then you will have to arrange deposit of the full amount of these funds with the new Gold IRA custodian. There may be fees associated with the rollover of your current IRA and these should be discussed with your IRA custodian prior to making any decisions. When investing in a Gold IRA Rollover, it's important to understand how you want to invest your funds and how your investment strategy affects your planning needs. The question you need to be asking yourself at this point is: what is your main reason for investing in physical bullion? 1 – Diversification/Protection : if you feel that your current portfolio is biased towards stocks, bonds or mutual funds, allocating 5 to 10% of your entire portfolio size to precious metals can help you effectively diversify and protect your portfolio. 2- Loss of trust in the US dollar: if you smell the Weimar catastrophe in the air and lost confidence in the dollar (and other paper currencies), allocating 10 to 20% would be a more common strategy. 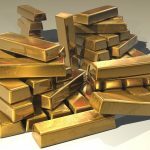 3- Future Profit: if, like some high net worth investors, you strongly believe that the price of gold will reach $5,000 or more per ounce in the next few years, then allocating more than 20% of your portfolio could generate substantial profits in the coming years. 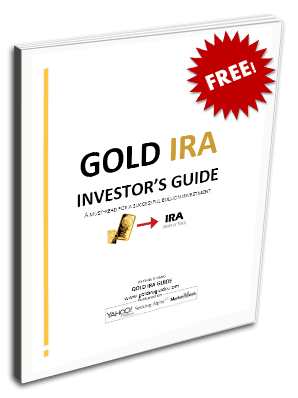 This is not a position we recommend here at Gold IRA Guide simply because of the high risk involved. Beginner and intermediate investors should “play it safe” by going for a lower allocation, and adjust accordingly if they feel confident and comfortable with their investment afterwards. Also remember that when investing through an IRA, IRS-approved bullion coins or bars are necessary. The IRS laid out strict rules when it comes to the types of gold bullion coins and bars that you can invest in as part of your IRA. The coins need to be minted at a minimum purity level of 99.9% or better. This includes the American gold & silver eagle, Canadian Gold Maple Leaf, Austrian Philharmonic, American gold & silver buffalo and other similar coins. It also includes certain gold bars such as the Credit Suisse gold bar. While there are some considerations involved in switching from a traditional IRA to a Gold IRA, the advantages of adding Gold to your investment profile make it well worth the trouble. Understanding the steps required to complete your Gold IRA Rollover will make the process both simple and profitable as a way to protect your financial future.